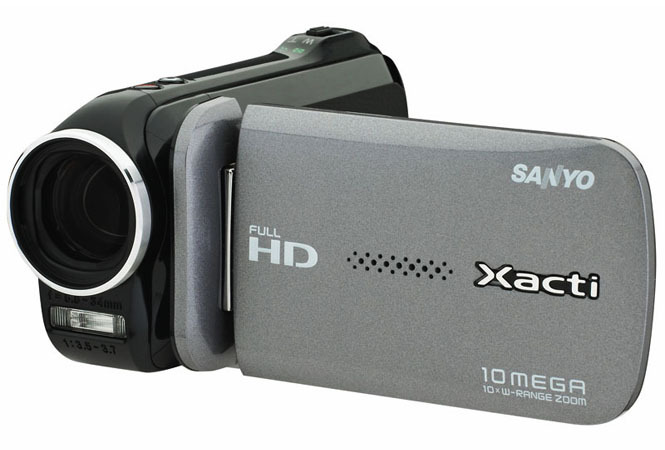 Consumer electronics maker Sanyo has announced its new Xacti VPC-GH4 dual-camera camcorder, which can both shoot high-definition video and snap high-resolution still images. 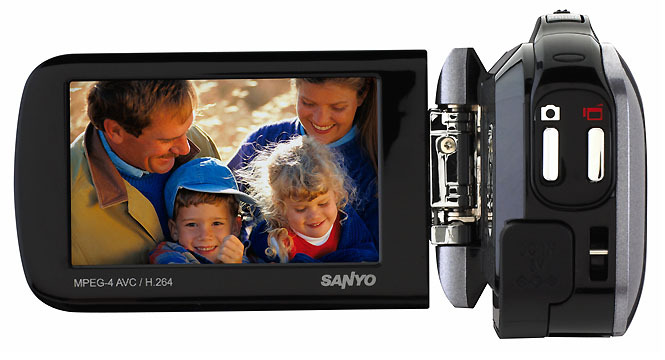 Sanyo is pitching the Xacti VPC-GH4 at the same consumer audience attracted to products like the Flip video, aiming to simplify the process of shooting high-quality video as well as sharing it with friends and family via social networking services. The Gh4 can shoot full HD 1080 60i video (MPEG-4 AVC/H.264) and 10 megapixel still images, with a 5&times optical zoom (which Sanyo touts as a 10× zoom with digital zooming). The camera features a 2.7-inch swing-out LCD monitor, digital image stabilization, face detection for photos and video, as well as a “target a color” function that makes it easier to track sports and maintain focus on people even when their face isn’t visible. The camera stores video and images to SD, SDHC, or SDXC cards, and can be used with Eye-Fi memory cards for instant Wi-Fi capability. There’s also a mini-HDMI output for pushing material to a high-definition television. The GH4 also features embedded software that enables users to easily share photos and video to social media services: when users hook the GH4 to a Windows PC, it automatically installs software on the PC (Sanyo says this takes less than a minute); from there, users can quickly tag items and upload them to services like YouTube, Picasa, and Facebook—the software also makes links for use on Twitter. The GH4 should be available later this month with a suggested retail price of $199.99.